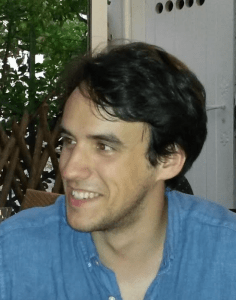 Maxime Bey-Rozet holds an MA in Film Studies from the University of Paris I Panthéon-Sorbonne, and is currently a Ph.D. candidate in the Film studies program with a concentration in French. He is interested in “extreme” European cinemas and in their politics of excess, as well as in transgeneric modes of horror. His dissertation mobilizes the writings of Louis-Ferdinand Céline as theoretical models to explore the poetics of Impuissance in extreme cinema and the cinema of sensations.